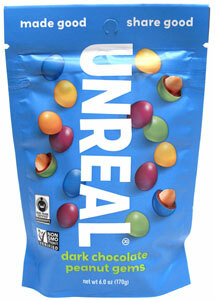 They've only been a dream in the minds of vegans for many years in hopes that someone would create a 100% animal-free version of Peanut M&M's™ candies, and Unreal has made many dreams come true with these awesome treats! Tasty roasted penuts are enrobed in 72% dark vegan fair-trade chocolate give you what you've been waiting for - you'll get the classic flavor combination without the guilt or the animal ingredients. Made only with non-GMO ingredients and natural vegetable-based colors, you won't find any corn syrup or artificial colors, flavors or other ingredients, which means you're getting the best when you indulge with Unreal Dark Chocolate Peanut Gems! 6 oz. 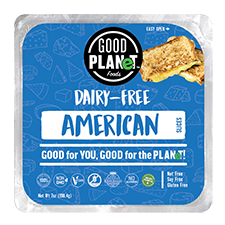 (170g) packages are $5.19 each. From Anonymous of LH, Pennsylvania on 3/12/2019 . 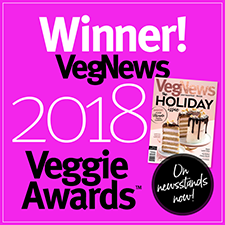 I don't understand why these companies go out of their way to COMPETE with a candy that everyone already knows and they could never win against, to make an ALLERGEN FREE VERSION and THEN produce it in a factory that also produces MILK products, Wheat and other things that trigger most peoples allergies. Why even be in business? From Anonymous of Simi Valley, California on 11/11/2017 . These are so delish! I will definitely be ordering more, and my non-vegan family loves them too. Been over 10 years since I’ve had anything this close to peanut M&M’s. Yum! From Anonymous of Burbank, California on 5/9/2017 . These are amazing as are the quinoa crispy ones. In the almost 10yrs of being vegan all I've wanted was a vegan peanut m&m and these are pretty spot on except they're dark chocolate which I prefer anyways! Luckily I can buy these locally so they're a tad cheaper but not by much so definitely a special treat! !